It was early when I woke up. The floor beneath my bare feet was cold and when I looked out the window, I saw that snow had dusted the bushes, trees and ground. I was excited because today the VanVelsen sisters were showing me how to make oliebollen. Oliebollen are a Dutch treat usually eaten on New Years. They are a round, fried doughnut and are delicious. 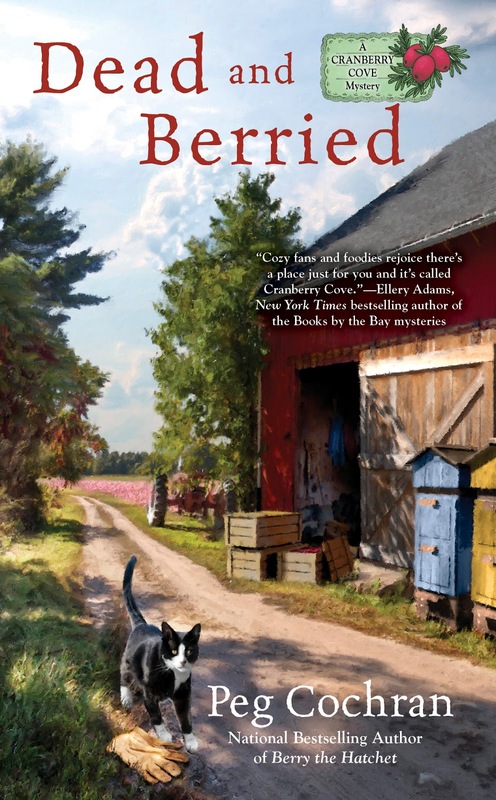 “Hello, dear,” Hennie VanVelsen said when I arrived on their doorstep. Gerda and Hennie are identical twin sisters, and I pride myself on the fact that I can now tell them apart. Gerda was already in the kitchen setting out the supplies we would need on the counter. “Hello, dear,” she said, in a voice so similar to her sister’s it was like an echo. Gerda broke the yeast into a bowl while I watched, then she grabbed a small pan off the stove and poured in the warm milk. She picked up a bowl filled with currants and raisins and added them to the batter. When I finished stirring, Gerda and Hennie both peered into the bowl. Hennie made the tea while Gerda sliced some pound cake and put it on a plate. The hour went by quickly as we enjoyed our snack and the sisters told me tales of Cranberry Cove back in the early days. Finally it was time to finish the oliebollen. Gerda filled a heavy pot with oil and turned the burner on underneath. The oliebollen were delicious, and I can’t wait to try making them myself. I couldn’t help wondering how they would taste with some dried cranberries inside? Did you learn how to make a special dish watching your mother or grandmother? 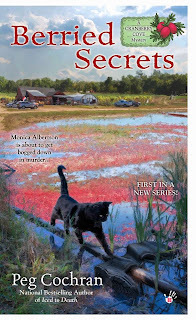 A NEW Cranberry Cove book will be coming out in the spring! 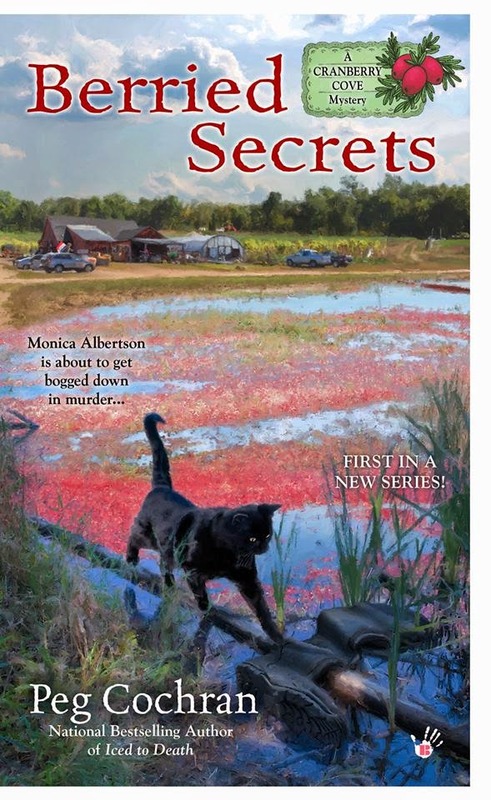 If you haven't started the series yet, the e-book version of Berried Secrets, book #1, is $2.99! Happy to hear the series continues! I sure do enjoy this one! I never did learn any recipes from my mom or grandmothers, but do prepare dishes that they did with much comfort and joy. Jello salad where I use applesauce in place of the cold water and then top with mini marshmallows is one from my grandma. Not a recipe that needed learning really, but a dish that holds special memories and is easy, tasty and fun, too. Hey! I thought this series was over! WOOHOO! I am so very happy that a new installment will be arriving for our reading pleasure! My mom made a delicious cake roll when I was a kid. And thanks to me watching her bake, I now can make a scrumptious pumpkin roll cake with cream cheese filling. So good! I sometimes make a pumpkin roll, too, for Thanksgiving! It's so delicious. Except no matter how many times I make it, I still get nervous that it won't turn out! Wish I could watch and see how you do it. Kristen, the jello salad sounds great and like something my granddaughter and I could make together! She loves to cook with me and I cherish the idea that we are making memories together. This feature is such fun. The sisters are great additions to the Cove. I learned to make delicious fudge from my mother. Cooked using a candy thermometer and testing for the “soft ball” result...no marshmallow fluff fudge this! I have been known to make myself sick eating too much. With age, I’ve let that tradition go. But the memory lingers. I’ve read one of this series, I think the next one is on my “someday I’ll read this” pile. So many books! That fudge sounds heavenly! I'm sure you treasured those moments with your mom!